There are over 150 Official Partners of the Alps 2 Ocean Cycle Trail. Look for the Official Partner sticker as a symbol of quality and assurance that the business is 'cyclist-friendly'. 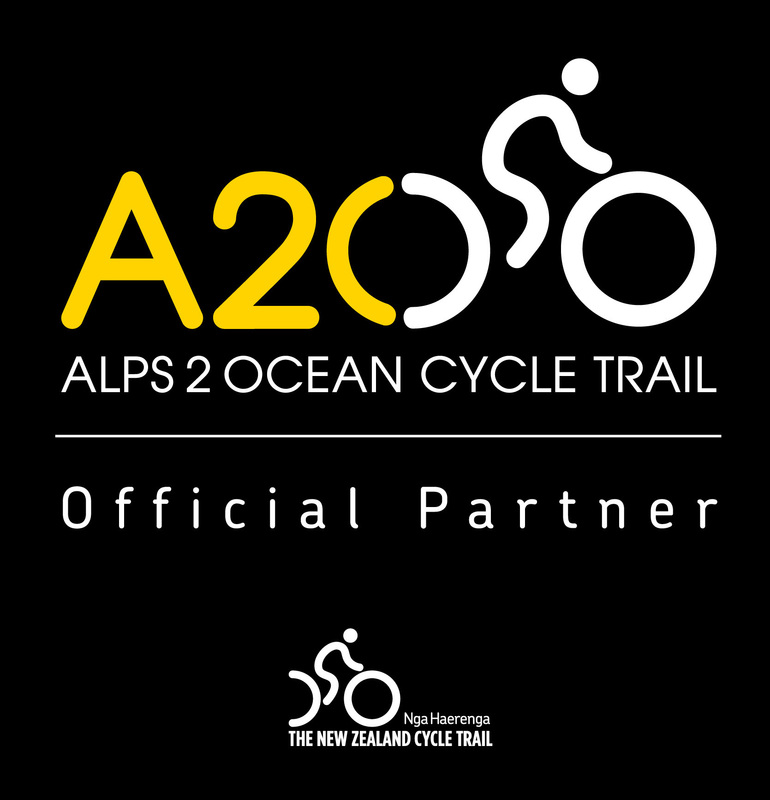 Established in 2012, the Alps 2 Ocean Official Partner Programme recognises that the physical cycle trail is only one part of the overall product that will attract cyclists to the Mackenzie and Waitaki Districts. In addition to a high-quality trail, cyclists require services such as transport, accommodation, bike hire, food and activities for when they are not cycling. They expect a high level of customer service and appreciate a warm welcome. The Alps 2 Ocean Official Partner Programme aims to attract more cyclists to the region by assisting visitors to connect with businesses that consistently provide a high standard of customer care to cyclists on the Alps 2 Ocean Cycle Trail. The intention is that this will, in turn, increase the turnover of businesses participating in the Official Partner Programme, and provide benefits and jobs to communities. Below is a list of the minimum criteria for membership of the Official Partner Programme. The business complies with all laws and regulations relevant to its operation. The business provides a quality experience and a high level of customer service for cyclists. The business provides a warm welcome and prompt friendly service to all visitors arriving by bike. Staff can provide first-hand knowledge of the Alps 2 Ocean Cycle Trail® and explain how to get more information. Information and maps of the Alps 2 Ocean Cycle Trail® are available to cyclists. The business allows cyclists to stay only one night and no surcharges are charged for single night stays. There are facilities for cleaning/washing bikes. There are facilities for washing and drying clothes. The business provides basic tools for bike repair, such as a bike pump, etc. and/or the contact details and opening hours for the nearest bike repair shop are known. Staff can organise hire bikes if requested. Bike racks or options for securing bikes to stands etc. are available (for cyclists to use their bike locks). There is free drinkable water. For cafes only: The business provides food and drinks suitable for hungry/thirsty cyclists. Bikes are transported in a safe and secure manner without any damage. The business provides a reliable and punctual service.